Come Celebrate the Magic of broadway with US!!! Two special nights, one magical show! 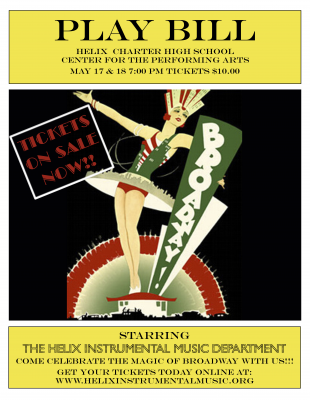 Celebrate your inner child with the Helix Instrumental Music Department's final concerts of the 2017/2018 school year. Join us as we showcase the bagpipe band, the orchestra, the concert bands, and the jazz band. Two Shows May 17 & 18 7:00 PM. Get your tickets today!! !